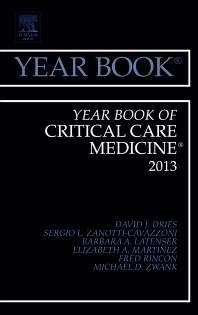 The Year Book of Critical Care Medicine brings you abstracts of articles carefully selected from more than 500 journals worldwide. Expert commentaries evaluate the clinical importance of each article and discuss its application to your practice. Topics such as Acute Lung Injury, Cardiac Arrest, Hemodynamics and Monitoring, Burns, Postoperative Management, Renal, Trauma and Overdose, and Pharmacology/Sedation-Analgesia are represented highlighting the most current and relevant articles in the field.